» Free Drink at Starbucks? Home » Freebies » Free Drink at Starbucks? 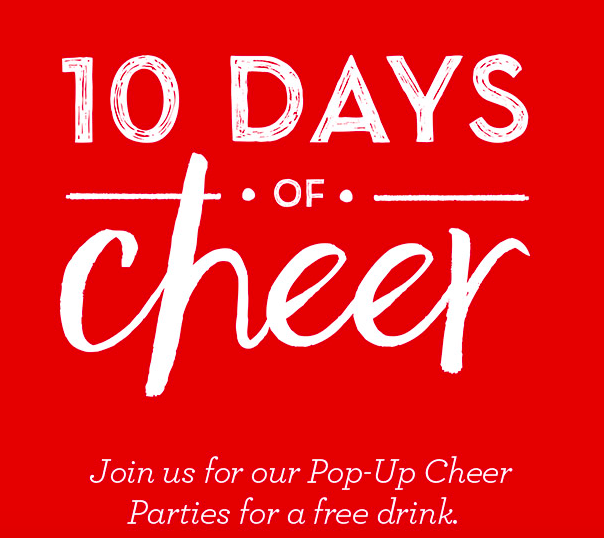 Starting today through January 2nd, Starbucks is having “pop up” events at various stores where you can stop by for a free expresso drink! Every day they will give away free tall handcrafted espresso beverages from 1 PM to 2 PM at 100 locations (except Christmas) through January 2. 100 new locations revealed HERE daily. Today (December 23rd) the Capital Region location is the Guilderland store.